The holiday coming up is one that I've had to learn to love over time, since it involves a lot of things I don't take to easily, ie the outdoors, unpredictable weather, and backyard forts. And eat our meals in it for eight days, to remind of us of the days the Jews traveled in the desert and G-d cared for them. 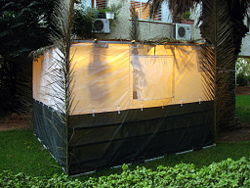 Now Sukkahs can take many forms and shapes. S and the other neighborhood guys spent a long time debating the benefits of different sukkah styles--canvas, fiberglass, wood, plexiglass? Windows or not? Sliding doors? My only contribution was to advise him to get the fiberglass one I could tell he secretly wanted. So all in all, I'm pretty excited for my first Sukkot in our house with our brand new sukkah! I'm also excited because I have NOTHING LEFT TO COOK at this particular moment in my life. Wheeee!! I hope you all have a happy, wonderful weekend! 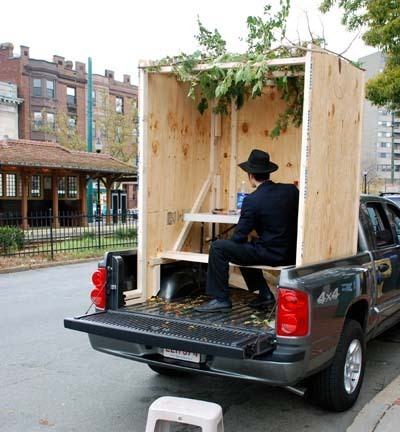 And tell me, have YOU ever seen a sukkah? Never...I don't know what it is..but thanks to you I'm going on wikipedia to learn something new ^__^ thanks! I've only read about them! So cool, thanks for sharing!! Wow that is interesting-I had never heard of this. I know very little about the Jewish culture but I love learning and passing the info on to my kids. Thank you for this post!! I've never heard or seen them before. Thanks for sharing. It was interesting. Over Yom Tov I was thinking how to scrap about sukkot. 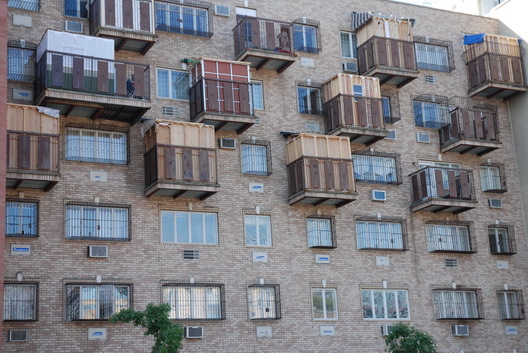 We arein communal sukkah's, here in the city, and I think it creates a unique experience.